Out now from Terror Film is the indie horror DEAD BODY. The movie has a large cast of characters. DEAD BODY stars: Spencer Hamp, Cooper Hopkins, Nathan Pringle, Jay Myers, Leah Pfenning, Miho Aizawa, Nic Morden, Rachel Brun and Koe Sakuta. In the film, several friends decide to celebrate their high school graduation at a lake house in the woods. One of the classmates recommends that they play the old fashioned game of 'Dead Body.' In the game, one player is "the body," one player is "the killer" and all of the other players try to figure out whodunit. Unfortunately, on this particular night, the game ends up featuring a real life killer! The bodies begin piling up and, in an Agatha Christie And Then There Were None style mystery, the survivors are forced to figure out who the killer is amongst them - before there is no one left standing. The film was directed by Bobbin Ramsey and written by Ramon Isao and Ian Bell. DEAD BODY has won “Best Special Effects” at the 2015 New York City Horror Film Festival. It was also nominated for “Best Horror Feature” at the 2016 Phoenix International Horror and Sci-Fi Film Festival. The film is available across multiple digital platforms. Platforms include: iTunes, Amazon Instant/Prime, Vudu, Google Play/You Tube and X-Box Live. 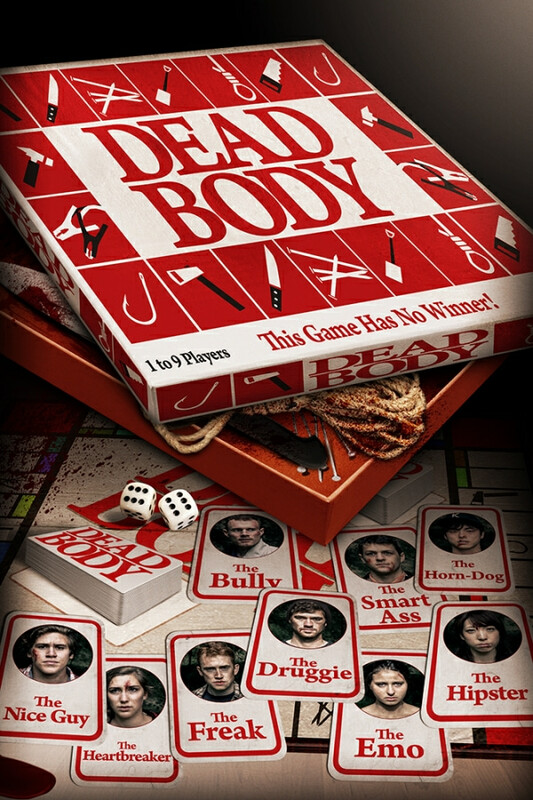 The official DEAD BODY poster and trailer can be found below.